Do you need a dash camera? If you’ve ever had a late night on YouTube then you’ve probably come across dash cam footage already – in some parts of the world these little recording devices are incredibly common. The premise of a dash camera is simple – it records short clips on a constant loop and, if you have an accident, you can save the clip. This can then be submitted as evidence to prove fault to an insurer, or it can be uploaded to YouTube for the world to see. These days there are dozens of dash cameras available to suit all budgets and uses – you can even download a mobile phone app that performs the same function and costs nothing. 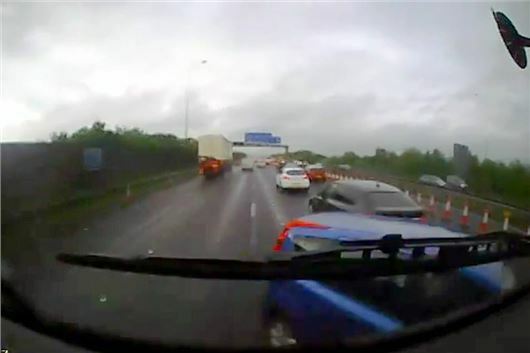 Dash cams are particularly useful for professional drivers. Spending all day on the road means an increased chance of running into trouble – and it also means a greater reliance on a driving licence and cheap insurance, so proving innocence after a collision is important. But there are benefits for all drivers. Aside from the obvious advantage of being able to prove who was liable in a crash, it is also possible to get an insurance discount from some insurers. Swiftcover, for example, will give drivers who use a dash cam a 12.5 per cent discount on their policy. AXA is another insurer to offer discounts. If there is an accident not only will a dash camera help prove who was at fault, but it will also reduce the amount of time it takes to settle a claim, often significantly. A dash camera will also help you avoid ‘cash for crash’ fraudsters – drivers who brake suddenly on purpose to cause a rear-end collision. It’s worth remembering, of course, that the dash camera works both ways – so if you do something stupid or make a mistake it will prove your guilt just as much as it will prove your innocence. If you’re accident prone it might not work in your favour. Practical uses aside, a dash camera is also a great way of recording those odd moments we all encounter – bad drivers, great driving roads or even meteors streaking across the sky. Seriously… look at the clip below.